Get an insider's view of what it means to be an excellent butler! "This confidential document is of great value to prospective butlers. It gives an insight into butlering and an in-depth understanding of the role. Learn how that translates into confidence and skill so that you are attractive to an employer." The butler is a key element in a team of professionals striving to deliver a level of personalised service that exceeds not only the expectation of the guest but will add a point of difference from the service provided anywhere else within the hotel/spa/resort. 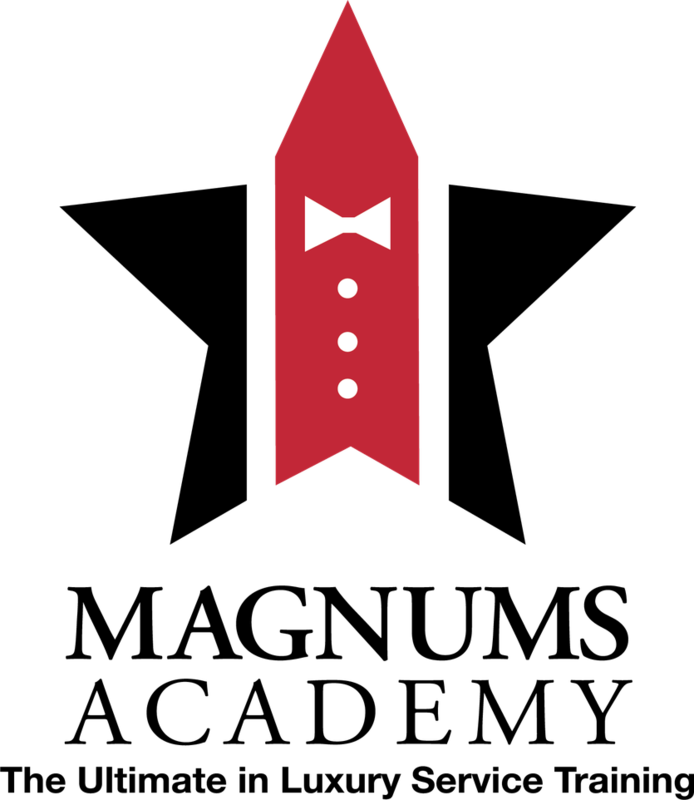 The position of butler provides a very personal, detailed, seamless service to guests. A butler will take care of guests needs in a highly professional manner. The butler will take gentle care of all their guests from arrival until departure without imposing themselves on the guest. The butler will be seen by the guests in response to all the guest’s needs and requests. The attention to detail that is required from butlers, and their ability to anticipate guests needs means that they are the consummate hotel professional with impeccable standards. Butlers will not accept anything less than the best available presentation of the suites/rooms and public areas of the floors. "The butler will strive to create an atmosphere so that guests experience the ‘wow’ factor." 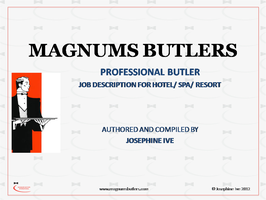 All of this and more is contained in Magnums Butlers complete Professional Butler Job Description. Are you considering hiring a butler but you're not certain what the role entails? 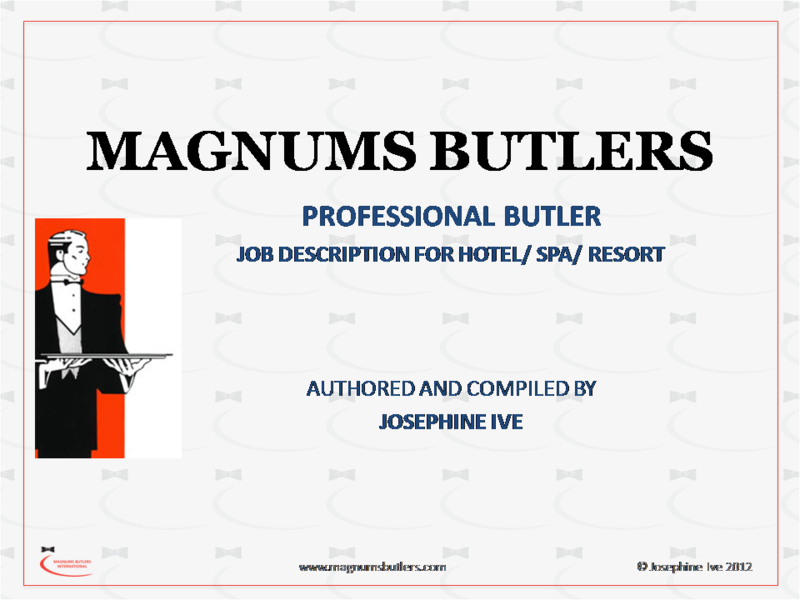 We offer a complete Professional Butler Descriptiondocument. This document also assists new and transitioning butlers to better understand twhat it means to be an excellent butler. This confidential eDocument is of great value to prospective butlers. It gives an insight into butlering and an in-depth understanding of the role. Learn how that translates into confidence and skill so that you are attractive to an employer. An insider's view of what it means to be an excellent butler!